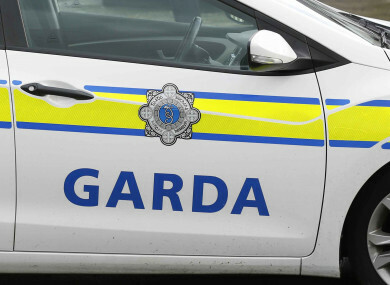 TWO MEN ARE due to be charged with weapons possession after a car chase in north Dublin this morning. The incident began when a man noticed a suspicious car outside his mother’s house in Glasnevin. The man, who is in his 20s and is an associate of the Hutch gang, was the victim of a shooting earlier this year. He pursued them from his mother’s house in a car to Finn Eber Fort in Finglas, where gardaí became involved. They searched the car he had been chasing and found a number of knives. A garda spokesperson confirmed two men in their 30s were arrested just after 11am this morning at Finn Eber Fort. They are due to appear before the Central Criminal Court this afternoon to be charged in relation to possession of offensive weapons. Comments are closed on this article as two men are due to be charged. Email “Two men arrested for knife possession after being chased by Hutch associate”. Feedback on “Two men arrested for knife possession after being chased by Hutch associate”.